Many thanks to Ben for keeping me busy the last 3 days with so much gear to play with! Powered up, hard drives wirred in to life ( 2 x 77Mb MFM! ), but after a few minutes there was still no sign of activity - not even a glowing light on the front or a buzz on the floppy. A little while later, smoke came out from the power supply. Probably just a cap, but worried after the PSU repair - it may not start anyway. I'm unable to work on this until repaired, because it now resets my RCD circuit breakers when powered up! Powered it up, no life, repeat process 3 times then tada - it fired in to life. It was missing a HDD, so I pulled the 30Mb unit from my dead Model 30-286 and installed it. Powered her up again, and she booted PC DOS 3.3 and right in to IBM's "Ready 2 Run" business package. Excellent result. I have not had any issues with the RTC/battery yet but no doubt it'll need doing eventually. Ok, so this beeped the first time it had power, but turned out to be a wee bit more complicated. It had a power on password installed - using the reset jumper and disconnecting the 1988 Lithium battery did nothing. I eventually gave up, and left it disconnected overnight. Next morning it was gone - finally cleared. After that all it needed was a floppy drive clean and the hard drive was really messed up - needed a reformat and reinstall. Hard drive was a 30Mb model, but connected directly to the MCA bus via an adapter. There was also a 386DX-25 overdrive MCA card installed - however I need to track down the ADF file for it before I can use it. Another Concord XT - 8 bit XT technology with a 286 CPU. In it's original case, but missing PSU/expansion cards. I can get it to power up, passes it's self test (just like my other, 512KB RAM gets used, the other 512Kb goes somewhere else - disk cache I think) - and it will intiailise the BIOS chips in my HDFC and HDD cards - but when it goes to boot it crashes the machine. If it's anything like my other Concord 286XT - there will be a second ROM program stored in the EPROM for disk caching - and I think that's what's causing the problem - so I suspect to repair it I'll need to edit and re-write the 27128 EPROMs. Another DTK TURBO 640 - with matching DTK FDD and Mono/Parallel cards. Non-starter. Faulty cap on the +12V line prevented the start up, but it has now been removed, and the motherboard/cards are working 100%. 512KB of memory installed, and a 4Mb EMS card with 2Mb installed (I'll need to find the driver). It's in an "EXZEL" case. I've installed a WD-1002A-WX1 with Super BIOS + NEC D5126H MFM hard drive (both donated with the machine) which required careful encouragement to spin up but is now working great. Did not explode when power was applied, but nothing on screen or any signs of life. I tested the power supply section and found a steady supply of 26.5V DC (which gets fed to the CRT section) - so it's getting juice - but I'll really need circuit diagrams and a user manual to progress. PCB shows black areas around the power diodes - however all diodes show they're working correctly and DC voltage is steady - no other components show any damage, nor did the diodes heat up when I powered it up. Looks awesome in old IBM green. Needs more cleaning/maintenance but I did get it typing. Crazy thing was I removed the old excess ribbon and could actually read it! Had it's first "repair" in 1981 - still runs now. 386SX-25 motherboard - boots up fine, but "Keyboard Interface Error" - either the leaking battery has damaged some tracks, or the keyboard chip has failed. Piles of books and software including OS/2 2.11 and WFW - untested - there is about 4-5 boxes to go through. FileNet system - huge - displays connected by fibre optics - 68020 CPUs - stacks of RAM boards and video cards in each! Apparently they have a Linux style command prompt in ROM. Yet to test, not sure what I'll be able to do with these. Great haul. When will you be buying that second garage? Glad the PS/2 30-286 worked out. I remember those Exzels from the day! I looked through all mine yesterday. As expected, none of them work properly, but a good supply of ICs none-the-less. Cheers, yeah I was very happy about the Model 30 as well, I've wanted one for ages. Was the first colour VGA PC I used. As an added bonus, when I picked up my dead one, it had all the original manuals / disks including the "Ready2/Run" package from IBM (which was on the hard drive). So it's a nice little collectable - and this one has a much more tidy case than my old one - which had rust. Had some progress on the AT&T 3B2-400 last night. I was able to power it up without resetting my power breakers but I still have not made an RJ45 to RS232 cable. Judging by drive activity, I'd say the primary drive has lost it's format but the second drive is OK, according to the manuals it's probably sitting there with a # prompt in firmware waiting for instruction. The fact it was scanning the top drive looking for a track, and switching to the secondary drive, indicates to me that it actually is alive in there. The machine came with a lot of manuals, but the only disks were the Programming Utitlities e.g. C++ not the actual disks I need to start it. I have however, found a potential source for the original disk images of UNIX System V Release 2.0, the trick now will be writing DSQD disk images on to DSDD disks. I did recently purchase a drive which I believe to be DSQD capable (double denisty but 80 tracks) and if that doesn't work, I guess I'll need to use the drive from the AT&T. Hard drives spin up and complete self tests, but they do sound like they could use a drop of WD40. After running the machine for a while, I set the power supply to 'Standby' which shut it down - and reset my RCD :S Powered up again afterwards no problem, just a wee bit annoying that it seems to trigger the RCD at the power board (which shuts power to the whole house, and Caitlin makes a face). Some details: WE3200 @ 10Mhz, 2Mb RAM, 2xHDD (not 100% if they're the 32Mb or 72Mb model yet), Cipher 23Mb floppytape, 720Kb DSQD 5.25" floppy, and room for 12 expansion cards. Not bad considering the 1986 date stamp. PSU is rated for 3A @ 220V too, and it's huge. I had to look this one up, not much out there about these. Is this it? Very interesting machine if that's the case. ...which is basically the coolest thing. Why aren't modern PCs this stylish? What's wrong with the GUS BTW? GUS has some loose solder joints and a bit of corrosion around some components, but there is a good chance it'll be as good as new once I get a chance. Yes that's the laptop (in the first picture), it takes 8V DC reverse polarity, I just need to solder up a plug. It's quite small, very lightweight, it's like the 'little laptop that could'. Honestly had no idea it was there, found it in one of the boxes. Only storage option on mine is microcassette. There is a "FLOPPY" connector on the rear, however it has a plastic cover and I have no idea on the pinout as I can't find any documentation. Edit: just picked up some RJ45 to DE9 kits from JayCar, which will mean I should be able to see if the AT&T is truely alive when I get home. The 3B2 series uses a non-standard RJ45 pinout for terminals (so I couldn't just use a random Cisco router cable or one of the adapters off the RT). Went to JayCar and got myself one of their RJ45 to DB9 kits, which used standard wiring colours (apparently there is a standard for these adaptors, sweet) so after 5 minutes I'd made up my RS232 adaptor to work with a standard straight through RJ45 (network) cable. 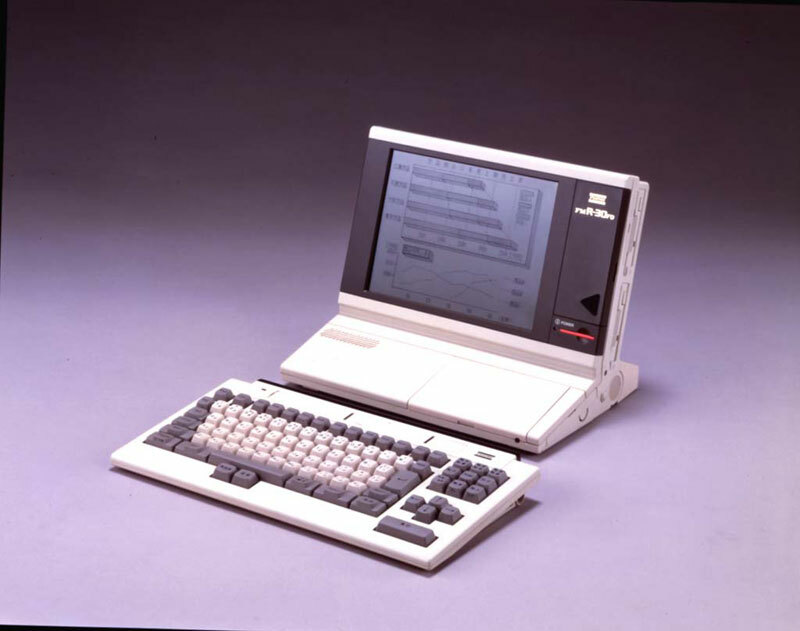 I connected it to a Toshiba 100CS 486 laptop, started MS Terminal - 9600,n,8,1, connected to the console port and nervously held the push start to latch on the PSU. Word's can't describe how the level of geek-pride I felt when I spotted "NVRAM SANITY ERROR" appear on my screen. We have a working AT&T 3B2-400. BIOS version is from late 1985. Battery is flat of course, but the hard drives have lost their marbles. I was able to use the firmware prompt but there isn't any really useful tools in ROM - I need the idtools maintenance disk - sure I found the image on the interwebs - but now how do I write it.... (DSDD 96tpi - figuring I can use a DSDD disk - and a 1.2M drive if it's running at the 300kbps data rate (300kbps @ 360rpm would be the same as 250Kbps @ 300rpm right? Just need to find a tool). SpidersWeb wrote: ...which is basically the coolest thing. 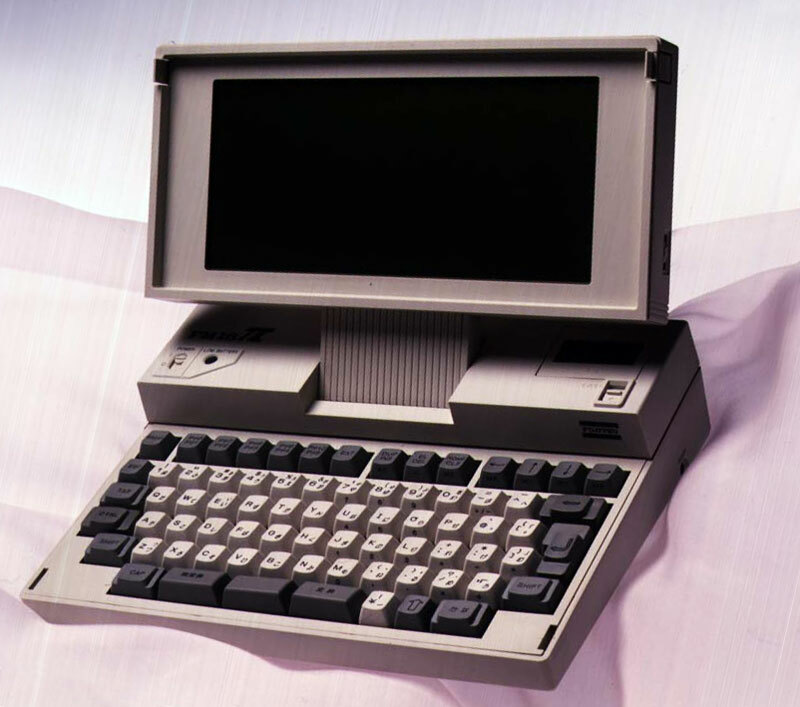 Why aren't modern PCs this stylish? You can pick up a modern laptop and twist it take the side off a PC and the whole thing can deform. ^^ too true... I'm constantly shocked at how much perfectly good stuff gets tossed out. Throw-away society indeed; even cars & houses are built to be disposable. SpidersWeb wrote: Word's can't describe how the level of geek-pride I felt when I spotted "NVRAM SANITY ERROR" appear on my screen. We have a working AT&T 3B2-400. BIOS version is from late 1985. LOL well done. I love that error message! Had a successful evening. The floppy drive was jammed up with dust/hair on the rails - cleared it up - and my idtools disk worked! Before doing a LLF I thought I'd see if the drives were still readable - Drive 0 errored on sector 0, Drive 1 made it to track 13. I've done the LLF and Verify on Drive 0, just about to do the second drive now. The system was able to read the factory bad sector and drive type data - which saved a lot of time. Once the second drive is formatted, I'll be installing UNIX - I'll have to make a list of the people to thank - if it wasn't for certain folk, those disk images would've disappeared over a decade ago. - write a ROM with the Concord BIOS, but use the disk image software from my other WaveMate EPROMs (which did work). Options 1 and 2 appeal more to me, Option 3 is more authentic but I'd probably rather use a software tool loaded in to EMS - which I could disable if it goes funny. Ok so a progress update. Concord 286XT - I've removed the EPROMs, but I need to find my gear so I can modify/rewrite, I think the problems occur with these boards because the disk cache loads in to RAM that is never tested by the BIOS - just a theory - another possibility is the EPROM chips used haven't held up well. Fujitsu FM-16 Pi - worlds cutest laptop - works! - CP/M-86 starts when power is applied, only program available that I know of is "BASIC". I was able to write a small program and run it no problem. - Using DIR shows A drive is empty, and B drive "System Files Present" - I think B drive is either battery backed up memory or the ROM cartridge and I think A drive is actually the microcassette. - boot up time is less than a second - and when powered off it remembers it's last state (if power is available). When you power it on, the microcassette moves. There is no play/stop/record etc - so I think the machine actually automatically operates it like a disk drive - I wont know until I find a microcassette to test with. Sounds like you're having fun with all this gear Jono. Are you getting short on space yet? Of the stuff that I got from Ben, it was good to get my hands on a somewhat battered TI-99/4A, just to have a look at it. They are cheap home machines of course but it's so piqued my interest that I've bought one off e-bay. Or I should say two...one a working PAL motherboard and the other an untested one in good condition from the US (+ speech synthesizer). Of course the PAL motherboard will substitute the ntsc motherboard in the USA one once it arrives. I really just wanted the US one for the case. Call me a picky, but I really do like my machines to look good. I'll then add it to my official collection (and no doubt do a video on it). tezza wrote: Sounds like you're having fun with all this gear Jono. Are you getting short on space yet? Yes! Also my to-do list is getting bigger than the fridge. tezza wrote: Of the stuff that I got from Ben, it was good to get my hands on a somewhat battered TI-99/4A, just to have a look at it. They are cheap home machines of course but it's so piqued my interest that I've bought one off e-bay. Or I should say two...one a working PAL motherboard and the other an untested one in good condition from the US (+ speech synthesizer). Of course the PAL motherboard will substitute the ntsc motherboard in the USA one once it arrives. I really just wanted the US one for the case. Call me a picky, but I really do like my machines to look good. Awesome I had to do some googling because I'd never seen one - but now I've got images of Bill Cosby in my head. Interesting how many of the brands had a famous actor/character associated with them. My favorite was John Cleese and Compaq - worth a watch on youtube if anyone hasn't seen them (seriously good stuff). AT&T 3B2-400 - problems with hard drives appear to be system related. Next step is to replace the drive cables - which requires removing all the expansion cards. I tried an NEC D5126H - low level formatted fine - but had the same problems with the installation. I also switched out the 1984 dated 30Mb drive, for it's later-added 30Mb secondary drive - it's much quieter but same results there too. Concord 286 - got the EPROM's out, found my EPROM reader, but chips return all 00's - I think the voltage is incorrect but ran out of time to confirm last night. Wyse WY-50 - it's missing it's keyboard, so never powered it up, tried it last night (if it worked, I'd order a keyboard from the US). It beeped, but nothing on the screen, and it had that smell - you know the one - the 'something just melted' smell. Wang Professional Computer - 99% confident I can wire up one of my Wang keyboards to the plug - except it uses a 4 pin DIN - about the only type of DIN plug I can't find easily. I also need to (very carefully) recover the original installation disks - since I can't find any information, photos, images etc of them anywhere on the internet. Without them, these machines are useless when the hard drive stops. Because I have two Wang PCs (and maybe a third in the future) - I can install a second hard drive board or RAM board. Wyse WY50 - no progress, but did some research, and it looks like some basic component repairs in the CRT section may fix the fault as this model apparently likes to cook it's capacitors. Wang PC - still need to find a 4 pin DIN plug 240 degrees but before then I need to remove their video cards and attempt to power up each one and see if any give me a prompt. I also need to clean (mould *sigh*) the original install disks - but I have the 5 main system disks, diagnostics, two version of basic (128 and 256K) and the installer disk. Concord 286XT - I switched the BIOS out for another version I had - from another Concord 286XT motherboard (actually these are 8bit 286 boards from WaveMate - one is a 286E the other is a Bullet 286). Despite the different version (I read both sets, and they're not the same, but made by the same company) I get the same random character string appear when boot begins. This machine also reported an 80287 error - I've removed the chip - but I'm worried that whatever caused this error is also causing the weird behaviours. But for now I'll ignore this (I don't have enough knowledge or test equipment if this is true). The next step is to install a customised version of the Super XT BIOS from phatcode (they've done an extremely good job at making this a very easy process! Written with TASM). I've already customised it for this purpose (so it doesn't claim to be an 8088 when it powers up etc) but have had trouble writing them to my 27128's - will try 27256 and double-up the code. - after the first byte it gives up and says "Buffer 0x75, chip 0x35"
I can't see anyway to force it to verify afterwards instead of immediately after writing. Guess I'll try some different chips first. Now it wont write at all. Time to buy a replacement I guess. Also discovered my Wang keyboard uses CLOCK + DATA, instead of INPUT + OUTPUT lines - so probably wont work on the Wang PC - so that's backwards a step as well. I'll be happy if I eventually find a display and keyboard for these.